In its earliest form the man held a spear in his left hand. The figure was titled The Vanquished in reference to France’s painful defeat in the Franco-Prussian War (1870–1). 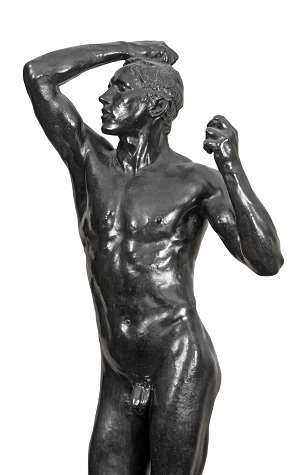 Rodin changed the title to The Age of Bronze, a mythical period in mankind’s development. He claimed that the figure showed the transition ‘from the unconsciousness of primitive man into the age of understanding and love’. 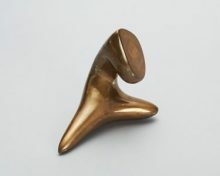 The sculpture created great controversy when it was first exhibited. Critics were shocked by the figure’s naturalism and Rodin was falsely accused of casting it directly from a model. 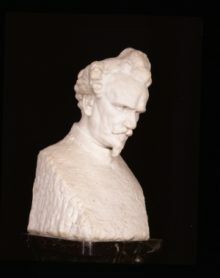 The work was first made in plaster and later cast in bronze.